Instantly downloadable sheet music (Musiknoten zum herunterladen und ausdrucken) von Stewart Harris for voice, piano and guitar of MEDIUM skill level. Instantly downloadable sheet music (Musiknoten zum herunterladen und ausdrucken) von Johnny Cash for voice, piano and guitar of MEDIUM skill level. 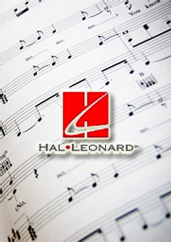 Instantly downloadable sheet music (Musiknoten zum herunterladen und ausdrucken) von K.D. Lang for voice, piano and guitar of MEDIUM skill level. Instantly downloadable sheet music (Musiknoten zum herunterladen und ausdrucken) von Dolly Parton for voice, piano and guitar of MEDIUM skill level. Instantly downloadable sheet music (Musiknoten zum herunterladen und ausdrucken) von Kathleen Edwards for voice, piano and guitar of MEDIUM skill level. Instantly downloadable sheet music (Musiknoten zum herunterladen und ausdrucken) von Vicky McGehee for voice, piano and guitar of MEDIUM skill level. Instantly downloadable sheet music (Musiknoten zum herunterladen und ausdrucken) von Tim Nichols for voice, piano and guitar of MEDIUM skill level. Instantly downloadable sheet music (Musiknoten zum herunterladen und ausdrucken) von Lee Penny for voice, piano and guitar of MEDIUM skill level. Instantly downloadable sheet music (Musiknoten zum herunterladen und ausdrucken) von Toby Keith for voice, piano and guitar of MEDIUM skill level.